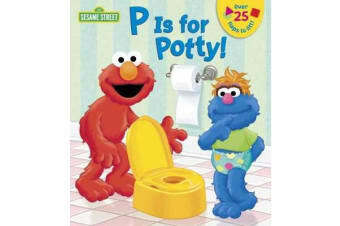 Sesame Street’s Elmo tells little girls and boys ages 1 to 3 all about how to use the potty in this sturdy lift-the-flap board book with more than 30 flaps to find and open. It’s the perfect mix of fun and learning for potty-training toddlers—especially while they practice sitting on the potty! Sturdy flaps will hold up to hours of repeat lifting and peeking, and toddlers will delight in the surprises they find under the flaps.